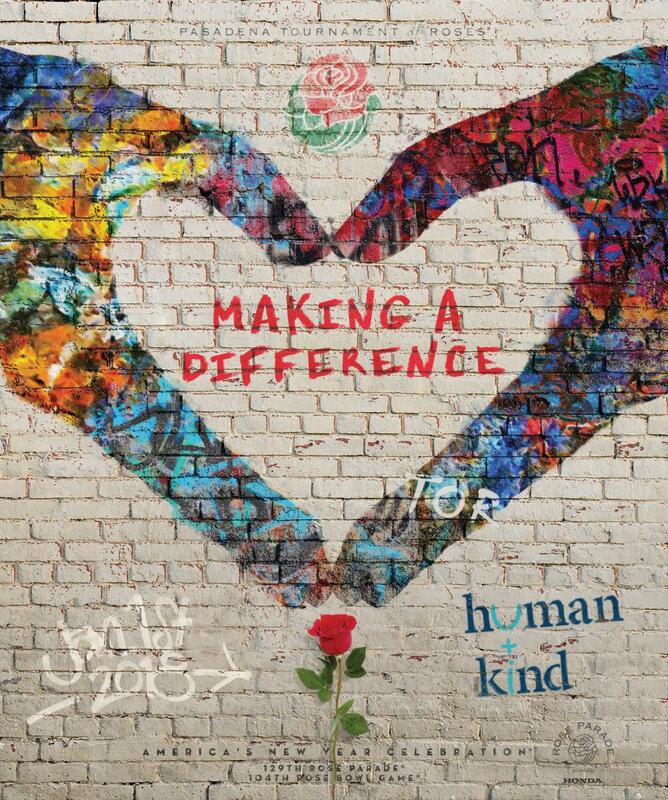 The theme for the Annual Rose Bowl parade in Pasadena, California this year was “Making a Difference”. Tournament of Roses President, Lance Tibbet, made the announcement at Tournament House in Pasadena. Mr Tibbet’s sentiment is fully in line with the intention of The PositiVibes Network and the Designer of Reality program. Over the coming months we will share some of the stories behind participants in the 2018 Tournament of Rose Parade and many many others. We will also guide you to the awareness of positive sustainable products and services that can play a part in creating a more enlightened and enjoyable future for us all. There is so much good and hope, joy and love in the world and that is where the future we all want will be found. My daughter recently graduated from the University of Florida with a degree in Environmental Engineering. I am very pleased in her choice for her studies since the care of our environment is key to our continuing to thrive on this planet. Her field of study is also one focused on solutions. In speaking with her recently we talked about many threats to the environment that we have come to understand. My message to her and everyone is to not waste time focused on the threats but on solutions – new ways of dealing with things and healing wounds. Yes, some threats like carbon emissions can be reduced by efforts to curb behavior but the better option is come up with new ways of doing things and adapt to those changes that are inevitable. In everything we do, we must learn to focus on solutions and not problems. You will find in life that whatever you give your attention to will flourish in your life. Hopeful optimism will bring pleasing results. Fear and trepidation will energize the very things you do not want. You are The Designer of Reality – it is up to you. Whether you accept it or not, you wield Creative Power and you can either accept the responsibility that places on you or follow a crowd caught up in a world of trauma and anxiety with fears of unwanted todays and tomorrows. Like it or not, what you choose to believe is totally up to you and it has great power to shape the reality of the world. It’s a new day and a new year – what do you want to believe about your future? Visit www.DesignerOfReality.com and add your thoughts.